A screened-in-porch is the perfect addition to any home. It’s the most affordable way to add usable and valuable outdoor living space to your home. Transform that concrete slab or wood deck into a beautiful living space where you can watch TV, read, entertain friends or use it as a family room. A screened in porch is a great way to use your backyard and exterior space to increase the size of your house. It’s also a great way to get some fresh air and enjoy the cool coastal breeze without being bothered by pesky bugs. Contact us today for a free estimate and ideas on adding a beautiful screened in porch to your home! 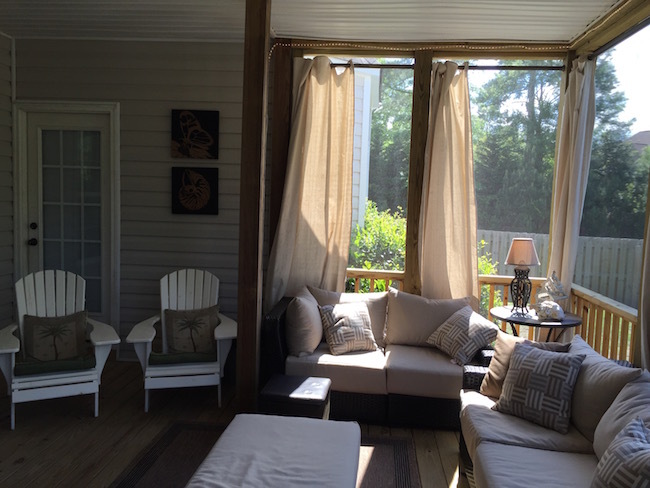 Make a screened in porch part of your Outdoor Living lifestyle. It’s your backyard. Use it, Live it, Love it!